Your quest for franchisee justice will lead you to a “white knight” lawyer who will betray you. The franchise bar appears to 1st time user franchisees as fundamentally fair, adversarial and zero sum. That is a dangerous myth. The economic incentives for the “franchisee-friendly attorneys” are to give the pretence of a fair fight (definition: an attempt to make something that is not the case appear true OED) since your being sold-out can be easily explained. Franchisee stupidity and shortsightedness is the most cited, least reality-based reason given. Your franchisee attorney will defect on 100% of all large cases because the franchise industry is effectively a single-payer industry for legal services (franchisors: +95%). As in other human waste treatment systems, the franchise bar functions to let pass the little cases go to trial (to keep the payers fearful and motivated) but skims off the large chunks for the elite 2 firms. Why would any franchisor pay out 100% of a massive claim to a group of franchisees for multi-year bad faith dealings when they could cut two cheques (1. their own lawyers and 2. your attorney) to manage the case to a “satisfactory conclusion”? Would 10 per cent of what franchisees are owed be a reasonably figure? If you were a rational, profit-maximizing multi-decade career Big Franchising professional (who has their own very high sunk costs invested in the status quo industry practices and structure, btw), Wouldn’t YOU just keep your mouth shut, turn a blind eye and play along, too? There are ways to deal with these perfectly explainable and rational, multiple-level credence good dangers but you may need to start serving legitimate authority instead of the posers that scatter when the light switch goes on the industry. 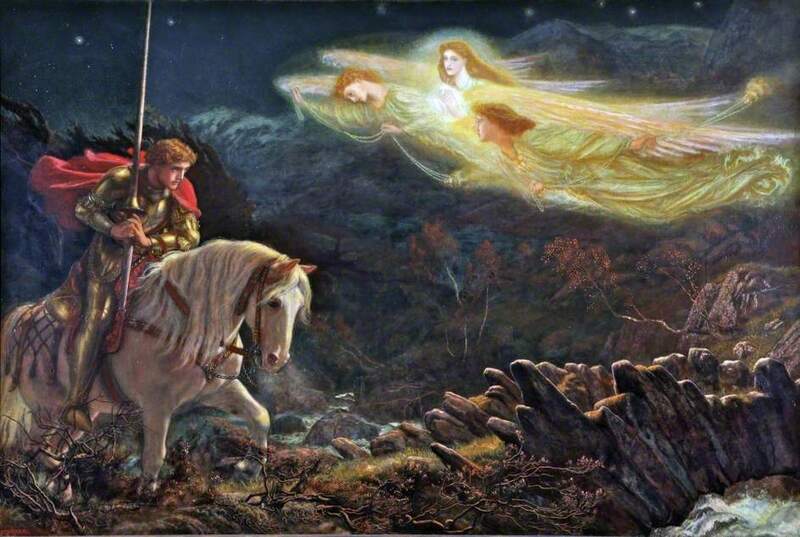 — Sir Galahad:The Quest of the Holy Grail, Arthur Hughes, 1870.